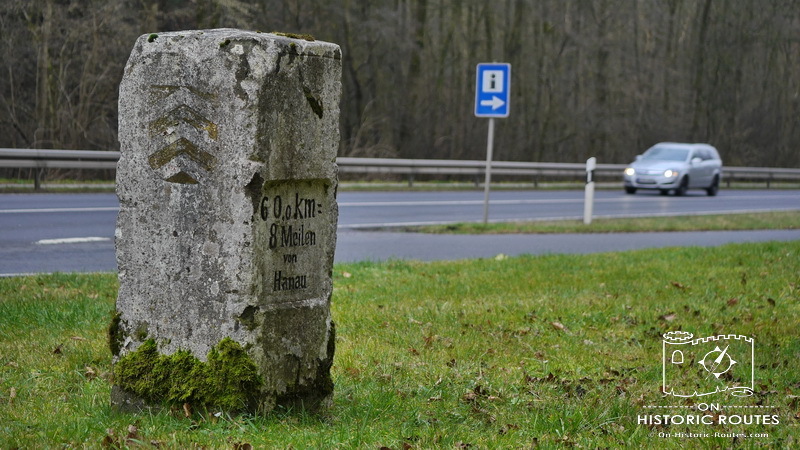 The term Via Regia (latin for Royal Road) refers to medieval roads in the Holy Roman Empire, which enjoyed protection for travelers by royal law. Today, Via Regia is the name for the most important of these medieval roads. It is a historic corridor in Germany, running from the Rhine river in the west to Leipzig, the Elbe river and the Polish border in the East. ‘On Historic Routes’ is about exploring the history and heritage of routes like the Via Regia. It is a great example of a route that shaped our world. It has been relevant for centuries, changed and adapted over time and influenced German history. I am excited to explore the Via Regia and share some of its history here. The route that is known as Via Regia today, is being used since Roman times. Together with changes in transportation and the demands of the population the route changed as well. From a dry ridge way to a road along the river banks. From a muddy medieval track to an engineered and paved road. New infrastructure like the railroad and the Autobahn follow the same corridor showing the concept of a historic route that is changing and adapting over time. The Via Regia saw the corpse of Saint Boniface brought to its final resting place in Fulda, the Swedish army invading Germany during the Thirty-Years-War in the 17th century and Napoleon fleeing to France after the defeat at Leipzig. 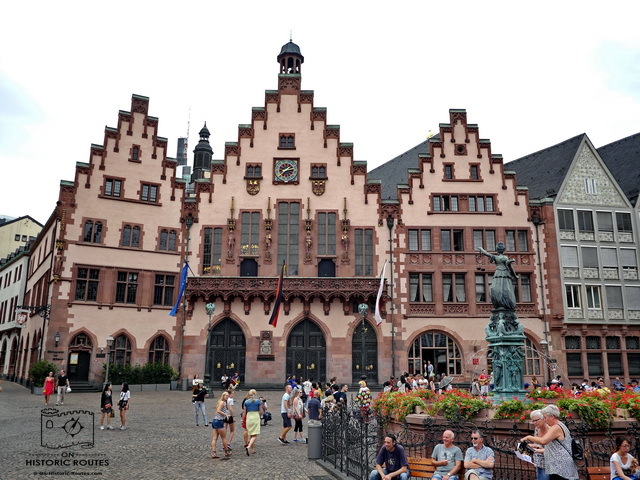 Iconic German figures like Goethe and Martin Luther traveled on the road. 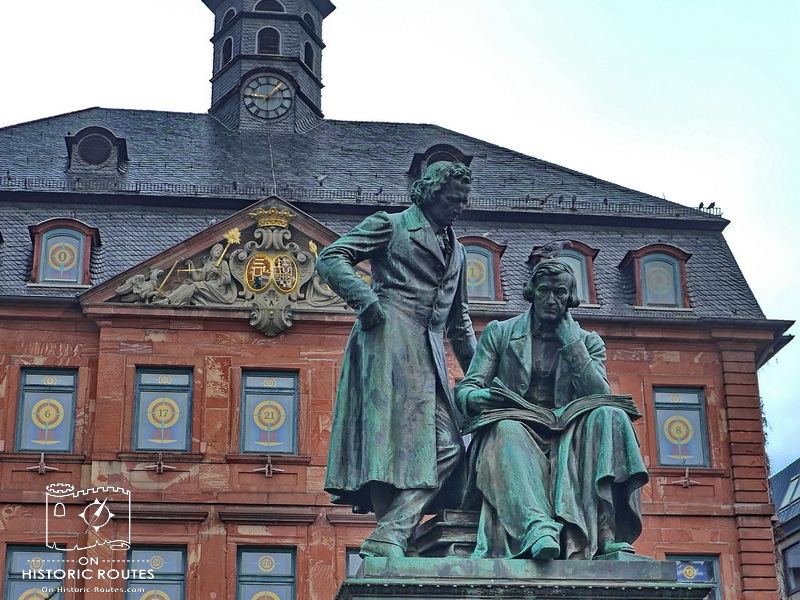 The Grimm brothers, who collected the world famous tales grew up in towns along the road. The road was used as a trade route between the two major market cities Frankfurt and Leipzig and far beyond. The Council of Europe has recognized the importance of the Via Regia and declared the road a Cultural Route in 2005. Exploring the Via Regia is an ongoing activity for me. I am walking along the historic road from Frankfurt to Leipzig in small chunks (currently close to Fulda as of Jan. 2016) and visiting other part of the corridor as well. If you want to learn about the heritage of the Via Regia, I suggest to explore the map on this page, where I place links and pictures. You can also follow my blog or my newsletter.